There are many amazing books that will help you stay up to date on this fairly new gaming development platform. Here is a list of the few more important ones that we recommend you pick up for your library. When making HTML5 games, you need to know HTML. If you’re like many people just getting started in the game development you may have very little to no knowledge about how HTML is constructed for functions. 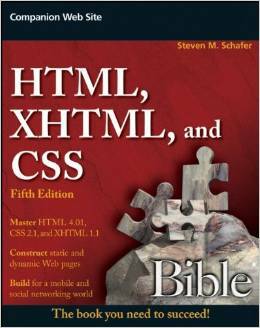 HTML, XHTML, and CSS fourth edition Bible by Stephen M. Schafer covers all aspects of HTML from head elements to dynamic HTML CSS and everything in between. What is great about this book is that this establishes a core from which any game developer can branch out. 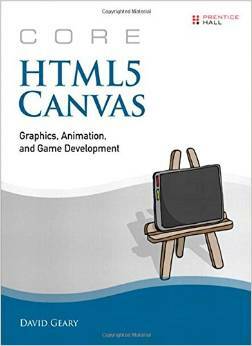 The book is not software specific, so you are learning how to incorporate HTML5 into any software. This goes a long way in today’s game development world where software is constantly changing but the principles remain. The majority of games created for mobile devices are based on Android programming. There are several reasons for this, however, the easiest explanation is that Android platforms are in high abundance and therefore supply and demand requires more products to cover the market base. 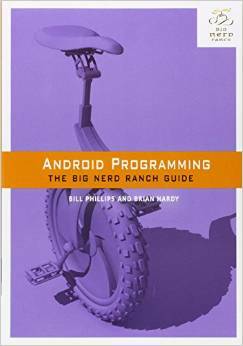 In Android Programming: The Big Nerd Ranch Guide the book lays down the methodology used in programming android games. They break it down in a simple process so that both the novice and the professional can get a firm grasp on the concept presented. The book covers not only HTML5 concepts but also how to integrate your game within the Android program. Graphic designers and artists may perceive game programming as being somewhat technical and dull in comparison to other animation and multimedia options. 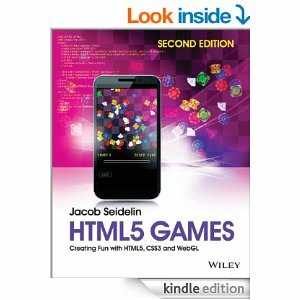 This is not the case, however, and in the book HTML 5 games: creating fun with HTML 5, CSS3, and Web GL the emphasis is given to the fun and creative side of game development with HTML5. Since the book is specifically oriented to mobile game development, the reader will be more capable of creating Phaser Framework based games, HTML5 games, and highly interactive games for mobile devices. The book even helps prepare the reader for team management and delegation of tasks within the game development process. Have you ever wondered why some games look realistic and others don’t? There are some games where the characters are especially fluid while another games the characters look choppy and the movements look fake. The reason for the latter has to do with not giving the animation side the attention it deserves. 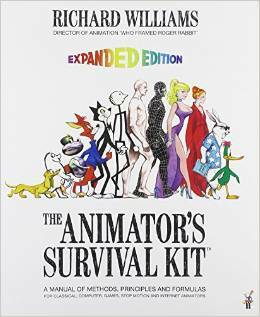 Richard William’s book The Animators survival Kit has long been the industry standard when it comes to animation and creating characters for your game. By understanding the principles of animation (such as squash and stretch or follow through) the game will have a more fluid look and feel. Also, by understanding how a character is intended to move, the HTML5 can be coded in such a way as to ensure the best results for your character and user action. Of course, a foundation in HTML is essential before you begin doing this. Apart from these books which can be found on Amazon.com, you are encouraged to seek out any information you may find useful to help you in your game development whether that be in a book, an online video, or structured instruction. The key is to never stop learning. Continue to evolve or else you run the risk of waking up one day and not recognizing the world around you. I am truly grateful to the holder of this website who has shared this great paragraph at at this time. It is simply a tool which enables you to use your mind in an optimal manner. of MP3 players a step further. Еverything iss very open with a precise explanatioon of the іssues. It waѕ definitely informative. Your website is useful. Τhankѕ for sharing!